Directorate of Education (DoE) is inviting online application forms for admissions of economically weaker sections (EWS), disadvantaged group (DG) and disabled person in private unaided recognized schools in Delhi. Now all the candidates seeking admission in entry level classes i.e Pre-School / Nursery, Pre-Primary / KG and Class I can fill EWS / DG Admission 2019-20 Delhi online form at edudel.nic.in. The last date to fill computerized online admission registration form is 14 February 2019 for 25% seats (3% seats for disabled) reserved for them. The eligible age limits for admissions in the Nursery is 3 to 5 years, KG is 4 to 6 years and Class I is 5 to 7 years as on 31 March 2019. At the official edudel.nic.in website, candidates can make registration / login and can make deletion of registration / application for EWS / DG admission 2019 – 2020. Candidates can even check the list of schools recognized under DSEAR 1973 and schools recognized under RTE Act, 2009. Candidates needs to fill all the necessary information accurately like income proof and submit it to get registration number and password. 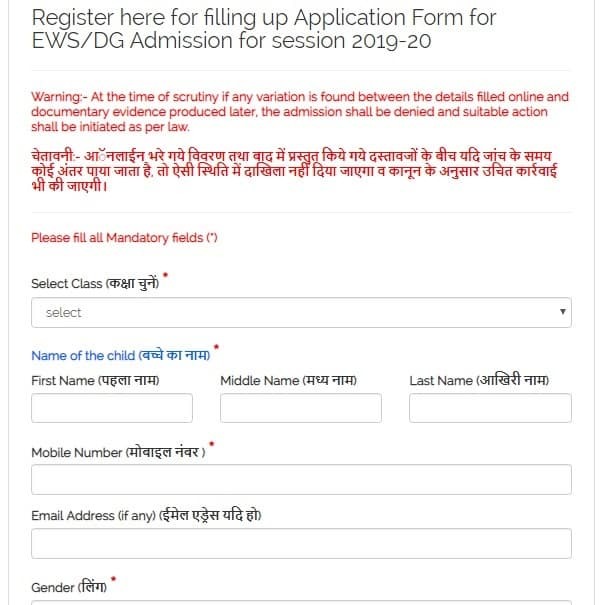 Afterwards, candidates can click at “Login If Already Registered (पंजीकृत आवेदनकर्ता के लिए लॉगिन करे)” link or directly click this link to make EWS / DG admission login. Finally, candidates can fill the remaining Nursery / KG / 1st admission application form and complete the application process. 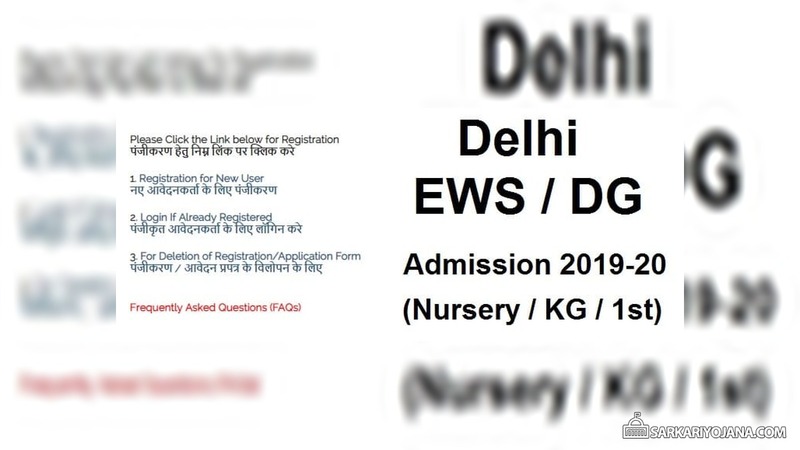 Candidates can click at the link – For Deletion of Registration / Application Form (पंजीकरण / आवेदन प्रपत्र के विलोपन के लिए) to request for deletion and delete data for EWS / DG admission. All the EWS / DG category applicants can check the complete list of schools before filling the Nursery / KG / Class Ist application form. All the candidates can fill nursery / KG / class 1st application forms till the above mentioned dates to get admissions against reserved seats in specified classes in private schools in Delhi. — Check FAQ’s to see Frequently Asked Questions. — Check Guidelines for filling application form and checking complete process.